Edinburgh based furniture and lighting dealership Moleta Munro is offering three lucky Homes & Interiors Scotland readers the chance to win a Wishbone Chair. Officially titled the CH24, it’s one of the most iconic chairs of modern design. The chair’s striking, sculptural form is well-known around the world. 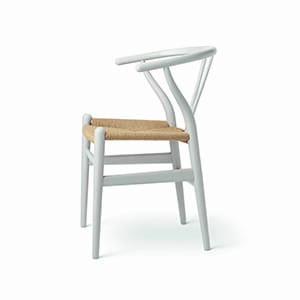 Designed by modern master Hans Wegner, especially for Carl Hansen in 1950, the classic chair has been in production with the furniture brand ever since. 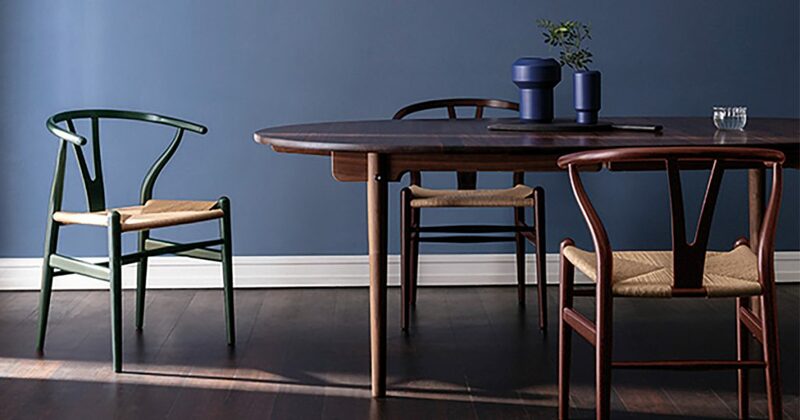 This October Carl Hansen will celebrate its 110th Birthday and is releasing a limited edition collection of Wishbone chairs in special colours only available during November and December. The colours available are in two lines: Russet Hues and Harmony. The first line features earthy tones popular in current interiors while the second line features a palette borrowed from the countryside. The limited edition chairs will be offered at a special reduced price of only £500 during the campaign. There is also a special price of £575 on a selection of finishes for the ‘classic’ Wishbones to coincide with the limited edition campaign.